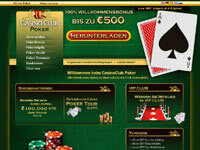 Casino Club Poker appears to be a decent online poker site at first glance. Only a much deeper inspection will reveal one way or the other whether this is indeed the case. 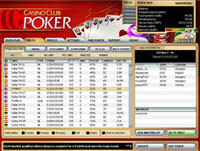 Casino Club Poker operates under the Boss Media banner and that means that their software is also Boss Media software. This is actually a very good thing because the software package in question is arguably the best one available in online poker right now. Graphically it is easily in the top two or three packages out there. In terms of efficiency, it is also in the same area. You’d be hard pressed to find a better interface out there too. When you combine all of these things together, the end result is that Casino Club Poker is great in this area. Casino Club Poker claims that it offers Texas Hold ‘Em, Omaha, Omaha Hi/Lo, Seven Card Stud, Five Card Stud, Five Card Draw and Lowball Five Card Draw. The claim further goes on to say that they offer these across cash games and tournaments. While this may be true in the strictest technical sense, it is also worthwhile to note that the Boss Media Network is not really that large. It is certainly not large enough to sustain all of these games around the clock. So even if the tables are available, you’ll want to check and see if the game that you want actually is available at a given time. The principal currency for Casino Club Poker is European Dollars as is the case with all Boss Media websites. The first time deposit bonus that is available to you is worth 100% up to EUR 500.00. This is the only deposit that a new player can have access to at the current time, although there is a loyalty program available after the bonus that will allow you to get into specialty tournaments and maybe even get some additional cash. Boss Media is a non-US company and Casino Club Poker is a non-US online poker website. 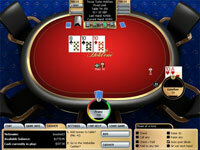 Frequently Asked Questions can be accessed through the help section of the Casino Club Poker website. There is also e-mail support available at support@casinoclubpoker.com. If you’d prefer the telephone, there is long distance phone support available (+35-627-780-102) as well as toll-free support in Germany (0800-664-48-75), Austria (0800-802-041), Switzerland (0-43-5006-576), France (+33805100675), Sweden (0-200439963), Spain (900-804-875) and the United Kingdom (0800-170-03-48). As you can see, Casino Club Poker has support, payment methods and promotions to challenge most other online poker sites around. It also has one of the best software packages that you are likely to see. If the Boss Media Network can get a bit larger, this could become one of the best online poker sites around.